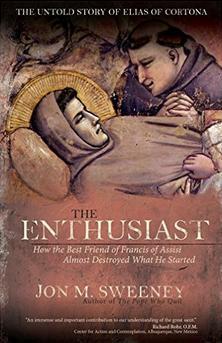 The Enthusiast: How the Best Friend of Francis of Assisi Almost Destroyed What He Started. The best friend in the title is Elias of Cortona, who was in from the start of the Franciscan movement, an attempt to bring the church back to the people and to the poverty of Christ, to make religious figures more humble and to have them live in Christ's poor footsteps. This is a biography of St. Francis of Assisi "through the lens of the relationship that most consoled him", with Brother Elias of Cortona. Elias is called "Francis's friend, confidant, and source of strength." Elias often played the role of social buffer for iconoclast Francis, and many other traits of the men melded well so that Elias could be called Francis's soul mate. The reader gets a front row seat for the conflict in the real medieval world between an idealist and a realist, Francis the idealist, Elias the realist. 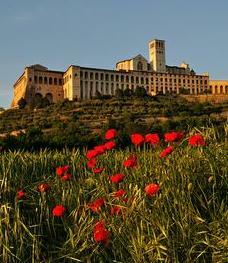 Today's pilgrims to Assisi know mainly the monuments created by the realist to honor the idealist, even if the basilicas in Assisi are the last things Francis would have wanted built. 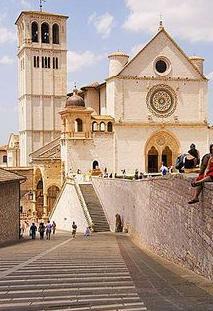 Elias could envision the future for Assisi as "the world's pilgrimage destination" to honor the "greatest saint since the apostles". 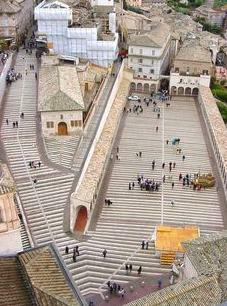 The first basilica was designed by Elias, and built under his supervision so he could do something special for his late friend, Francis: "make his name great on earth, as it is now in heaven". The author set out to show the "complexities of a relationship between two men and shows how it changed their world...how idealism can be undone by the enthusiasm of one devoted follower." An understanding of fame and the growth of a business along with human psychology informs the author's work. While a visionary, charismatic person can start a revolution, it is the strong, practical administrator with a sound, realistic vision who guides a revolution through to the established phase. As a new venture grows, the founder is often pushed aside for a new leader to run the show during the consolidation phase. The author shows that that applied to Francis's movement, and Elias was the leader who replaced him. But when a revolution has to do with morality and faith, as in the case of St. Francis's new, modest religious orders, the risk is that the needs of politics and secular society will undermine the original intent of a movement. In many ways that did happen, and Elias repented of that later in life, and of his own vanity, greed and self-importance. 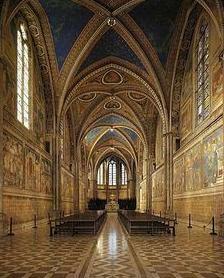 The reader learns along the way of Francis's childhood and some of the history of the era in which he lived. Francis's struggle to found an order of poverello brothers, poor brothers living as Christ preached, not as the contemporary church lived, in luxury, is detailed. This is Francis's story told with a greater focus on the people around him. The author uses some conjecture and invents dialog to tell his story, attempting to humanize the caricatures that have crept into the history of Francis. The reader is reminded that real historical people surrounded Francis as he built his movement from the ground up. This book has a literate yet approachable style, with a strong novelistic feeling. The overall result is very entertaining. I enjoyed most the clear view of the types of people who are drawn to a charismatic figure. True believers are there, as are those who see an opportunity for personal advancement. Sometimes, as in the case of Elias, those people are one and the same. The reader is treated to an account of how the central focus of a new movement, like St. Francis, can lose his position when his movement becomes bigger than him. Popular historian and award-winning author Jon M. Sweeney relates the untold story of St. Francis’s friendship with Elias of Cortona, the man who helped him build the Franciscan movement. Sweeney uses the complexities of their relationship in a gripping narrative of how their efforts changed the world and how Elias’s enthusiasm betrayed the ideals of his friend. 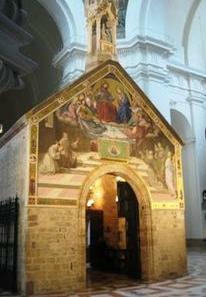 Few biographies of St. Francis have examined his complicated relationship with close friend Elias of Cortona. In The Enthusiast, award-winning author and historian Jon M. Sweeney delves into this little-known partnership that defined and then almost destroyed Francis’s ideals. Blending history and biography, Sweeney reveals how Francis and Elias rebuilt churches, aided lepers, and entertained as “God’s troubadours” to the delight of everyday people who had grown tired of a remote and tumultuous Church. At the height of their spiritual renaissance, however, Elias became “the devil” to many of the other friars; they believed him to be a traitor to their ideals. After Francis’s premature death, the movement fractured. Scorned by most of the Franciscan leadership, Elias followed a path that would leave him a lonely, broken man. Sweeney shows how Elias’s undoing was rooted in his attempts to honor his old friend.